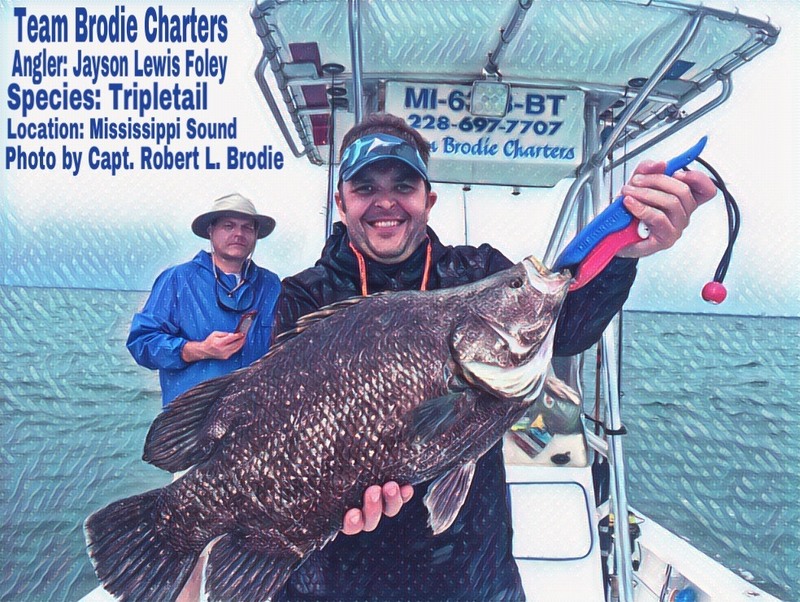 Saturday, June 3, 2017 – Don Sipp, Robert H. Culbertson, Ray Wager, and John Johnson Put A Few On Ice Today Aboard TEAM BRODIE CHARTERS! Grab A Couple Of Friends And Let’s Go Catching! 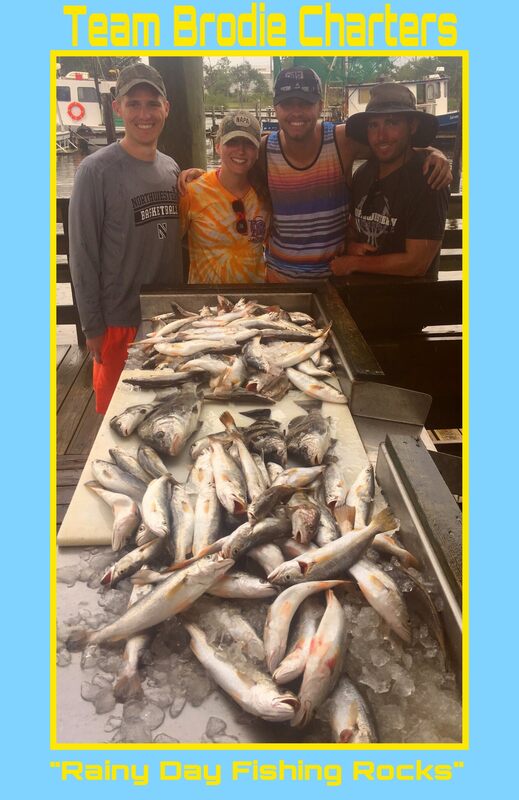 Friday, June 2, 2017 – Newbies Score Big Aboard Team Brodie Charters Catching White Trout, Flounder, & Redfish! Sunday, May 28, 2017 – The Tyler Kralovic Group Returns For Another Big Catch Aboard TEAM BRODIE CHARTERS! 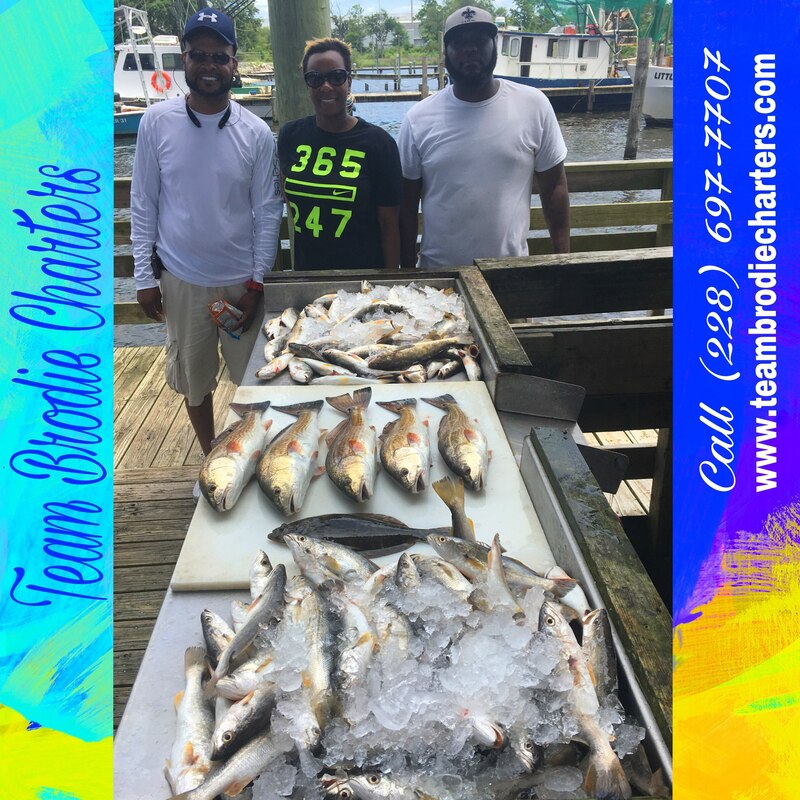 Saturday, May 27, 2017 – An Awesome Day Of Fish Catching For Pete, Susan, & Anthony Delaune Aboard TEAM BRODIE CHARTERS! Saturday, May 20, 2017 – Biloxi Charter Boat Fishing – Wind…Wind…Go Away! Yep Still Crazy Windy Weather, But The Ken Lewis Group Caught Fish! 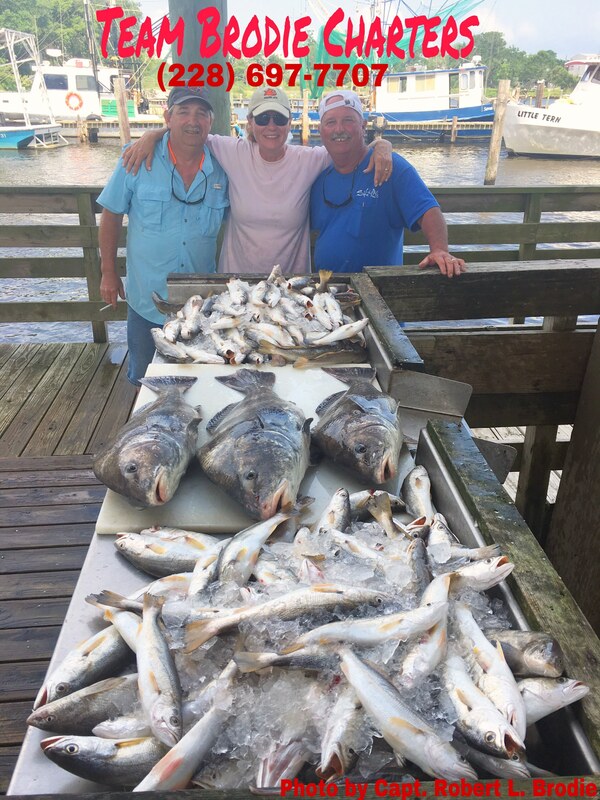 May 11, 2017 – Biloxi Fishing On Fire We’re Catching A Bit Of Everything! 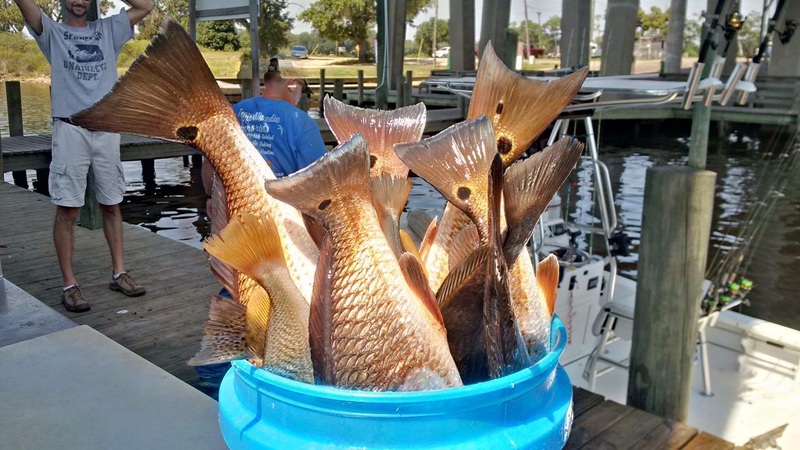 Redfish, Black Drum, Tripletail, Spanish Mackerel, Sharks, White Trout, Ground Mullet, & Speckled Trout! 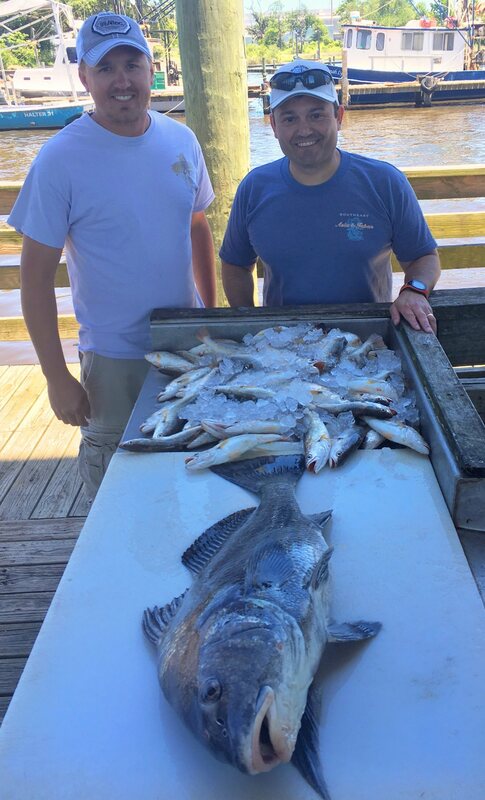 The Mark Zurofsky Group Caught Their Share Today!